All you need are, a lipstick and a lip liner. 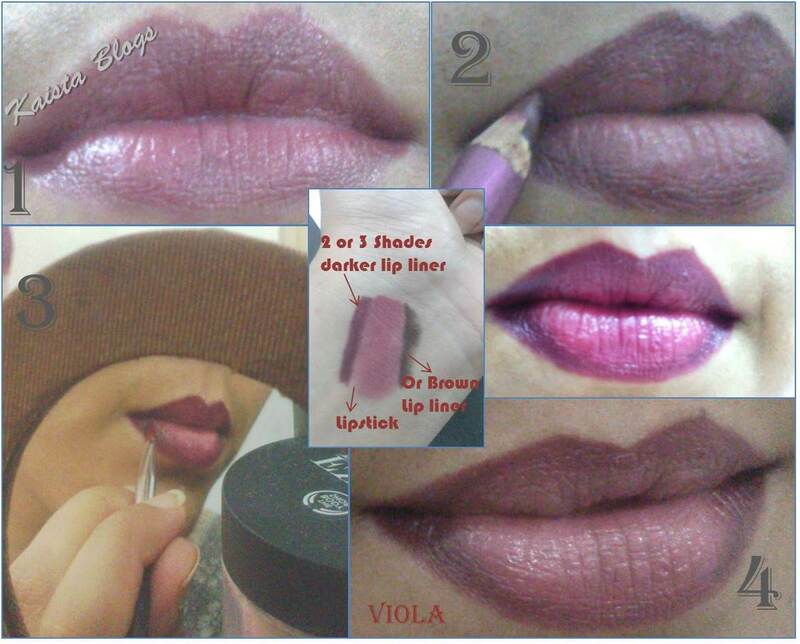 Liner must be two or three shades darker than lipstick or brown almost work with any colour. Line lips with lip liner and apply in the corners of lips quite thick. Blend, blend, and blend. Blending is the key. Feather lip liner with light strokes towards the middle of lips.